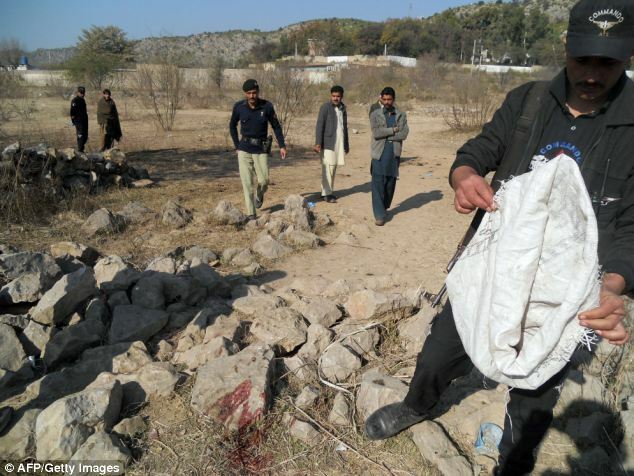 A schoolboy has been hailed a hero after sacrificing his own life to save classmates from a Pakistan suicide bomber. 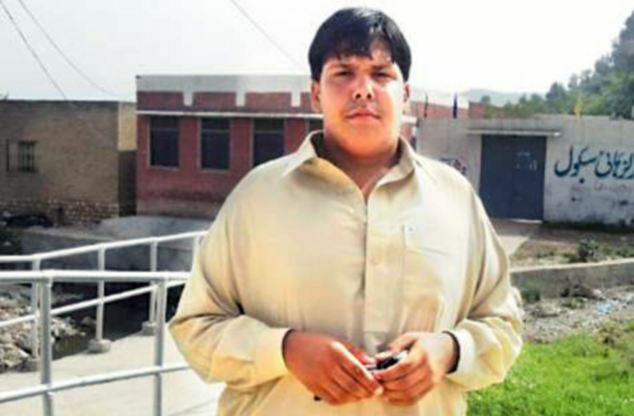 Aitzaz Hassan, aged around 14, died in hospital after stopping the bomber, who blew himself up, at the gates of his school in the northwestern district of Hangu on Monday. His father Mujahid Ali Bangash, 55, said he felt not sadness but pride at his son’s death. ‘Aitzaz has made us proud by valiantly intercepting the bomber and saving the lives of hundreds of his fellow students,’ he said. Bangash works in the UAE and was only able to reach Ibrahimzai village, which lies in an area of Hangu dominated by minority Shiite Muslims, the day after his son’s funeral. ‘Many people are coming to see me but if they try to express sympathy, I tell them to congratulate me instead on becoming the father of a martyr,’ he said. Police official Shakirullah Bangash told AFP that Aitzaz intercepted the bomber some 150 metres (490 feet) away from the main gate of the school, which has around 1,000 students, most of them Shiite. The schoolchildren were the target of the attack, he added. News of Hassan’s bravery also led to an outpouring of tributes on social media. Hassan’s cousin Mudassir Bangash described him as an accomplished student who excelled in all extracurricular activities. 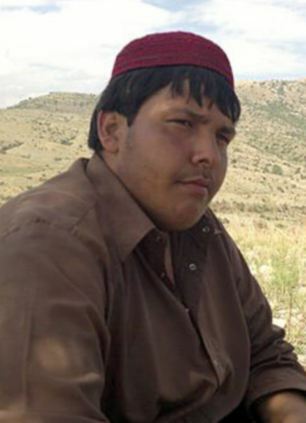 ‘Aitzaz was a little plump and we used to call him pehlwan (wrestler),’ he told AFP. Hangu borders Orakzai tribal region, one of Pakistan’s seven lawless tribal districts on the Afghan border considered to be the hub of Taliban and Al-Qaeda linked militants. The district has a history of sectarian violence and was declared a ‘sensitive region’ during the month of Moharram, considered especially holy by Shiites. Pakistan is rife with sectarian clashes, with Sunni militant groups linked to Al-Qaeda and the Taliban often attacking gatherings by Shiites, who constitute some 20 percent of the country’s population.